Handy filter keeps tank crud out of your pressure water pump or bilge pump. Stainless mesh screen collects rust and scale, and can be cleaned in minutes. Protects the pump from valve damage. 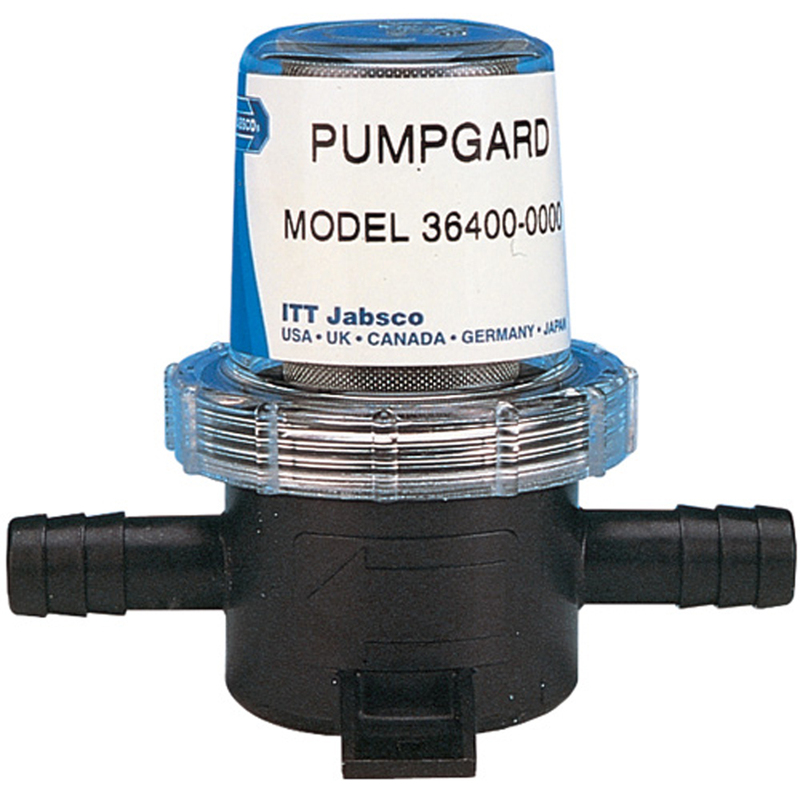 Can be installed in any position prior to the pump. Clear inspection cover lets you see if it needs cleaning.